We offer a comprehensive range of InfraredLaserThermometerwhich enables accurate readings to the best measuring distance. 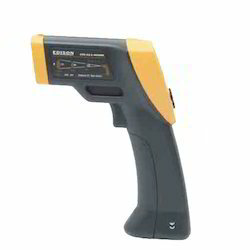 These are applicable in various industries and automotive diagnostics. They are easily handle and operated with safely measures. We can use laser control for perfect targeting. We supply these thermometers which have long durability and effective in performance.